Hua Hin on the Gulf of Thailand is just 200km south of Bangkok in the southern Thai province of Prachuap Khiri Khan. 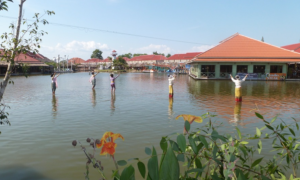 Once a quiet fishing village, it became a popular escape for residents of Bangkok in the 1920’s when the Thai royal family built summer palaces here. 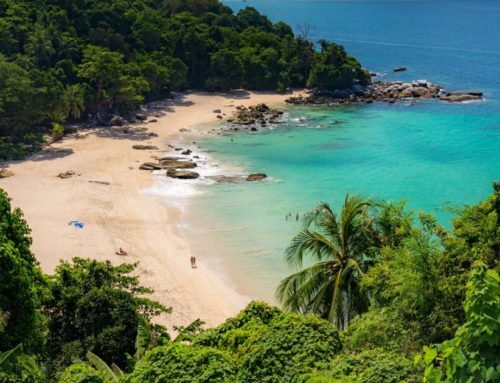 Fondly referred to as Thailand’s original beach resort, it offers a balanced mix of city and sea with a cosmopolitan feel, busy markets, good golf courses and water parks, excellent cuisine and a diverse mix of accommodation. In fact, there’s so much to do here that you’d be forgiven for not getting down to the beach. 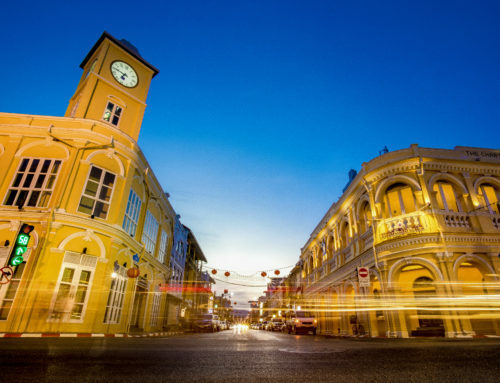 Hua Hin traces its aristocratic roots to 1911 when the railroad first arrived from Bangkok and the capital city’s dignitaries started to gather here regularly, taking advantage of the European styled seaside hotels that were being developed. Kings Rama VI and VII built summer palaces here and the Phra Ratchawang Klai Kangwon, which means ‘Far from Worries’ palace, once the full-time home of King Rama IX, remains a royal residence today. 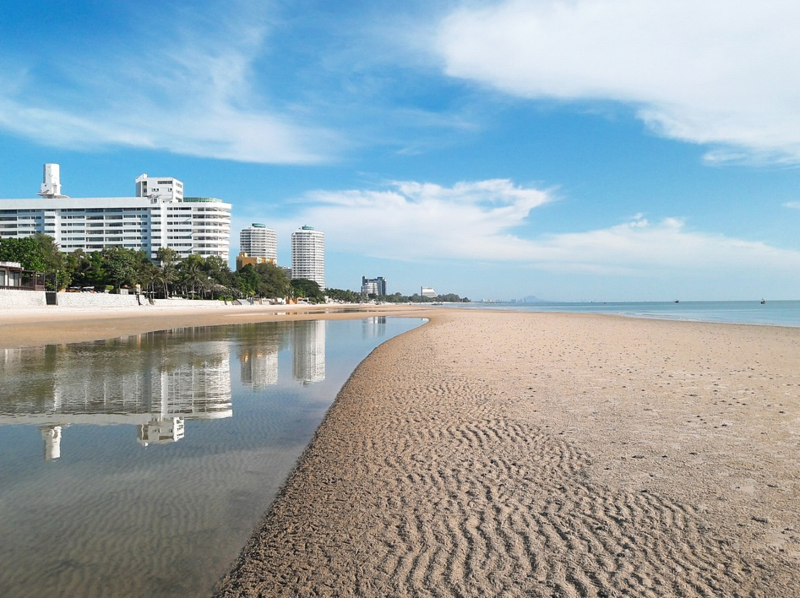 Even with the royal connection, Hua Hin remains a good budget destination and maintains its popularity. Hua Hin Beach is popular for kite surfing and other water sports, and the main stretch of coas is lined with hotels and restaurants. 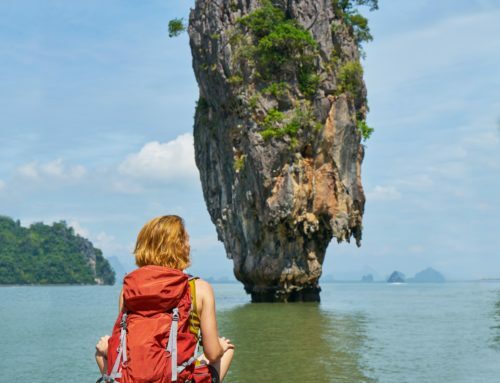 There are numerous sightseeing opportunities in and around Hua Hin and Cha-Am including temples and palaces, caves, waterfalls, secluded beaches, mangrove swamps, mountain hikes and wildlife. – The 1923 colonial style Sofitel Central Hua Hin Resort as the country’s first resort hotel is a historic landmark. The Hua Hin beachfront is home to many lavish summer homes of the Bangkok’s elite, as well as a series of other developments. South of town is Khao Takiab or Chopstick Hill, a rocky outcrop which marks the end of Hua Hin’s beach. 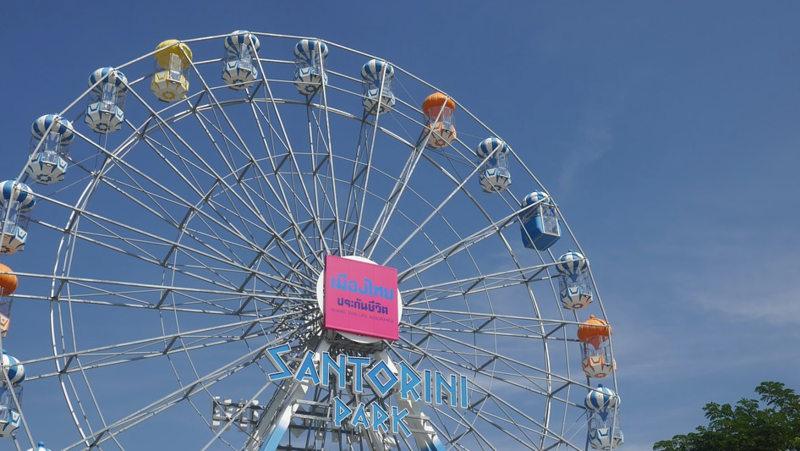 – Santorini Park brings a picture perfect Greek island theme to Cha-Am with whitewashed buildings, colourfully painted windows and cobbled paths. There is impressive shopping, good restaurants and an amusement park that promises to entertain. – The Maruekathaiyawan Palace is not to be missed. 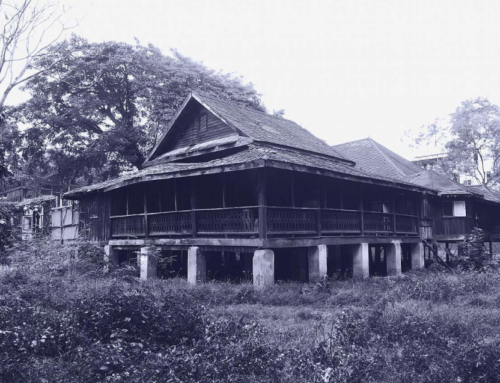 Like many buildings in Hua Hin, this Thai-Victorian style summer seaside palace was constructed in the early 1920s during the reign of King Rama VI. It was designed by an Italian architect and built with golden teak from the demolished Hat Chao Samran Palace and with lots of verandas, latticework and high ceilings is perfect for Summer living. – The Panee Butterfly Garden is located opposite Klai Kangwon Palace and is the first butterfly and herbal garden in Hua Hin. The best time to visit the garden is when the sun is out and the colourful butterflies are most active. 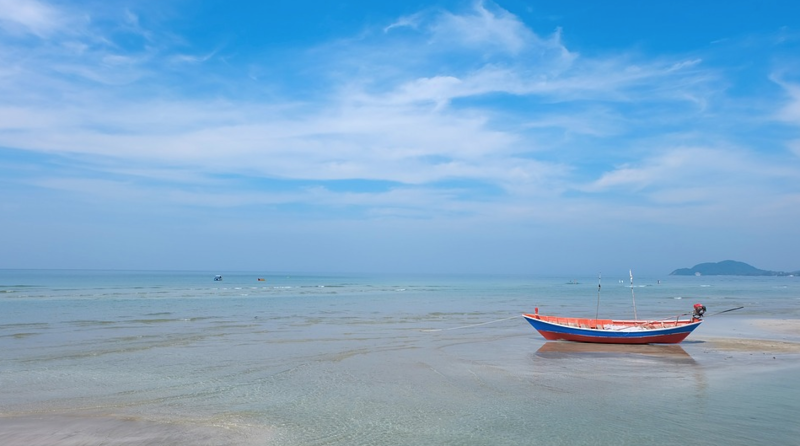 – Hat Hua Hin offers 5km of white sandy beach lined with accommodation, bungalows, 5-star hotels and resorts. Situated on the sunrise side of the city the beach curves for 3 km to the south where the Giant Standing Buddha Sculpture is found at the Khao Takiap Temple. – For the art lover, housed in an old-styled house on Naepkhehat Road, Hua Hin Arts and Crafts Centre features a private collection of contemporary works of Thai artists is recommended. Baan Silapin Hua Hin or the Artist Village was founded in 1998 and is situated on Pa La-u road. This is the residence of Tawee Kesangam, the most renowned artist of Hua Hin, and home to the Hua Hin Artists Group. – The Hua Hin Night Market is a must for every visitor. Arguably the most colourful spot in Hua Hin by night the market offers variety of food and drinks, sweet treats and souvenirs. Ry the Phat Thai and coconut ice cream. – Hua Hin Railway Station was built during the reign of King Rama VI and is one of Thailand’s oldest railway stations. There is a glorious Royal Waiting room and the architecture depicts days gone by. – The Cicada Market is an art-inspired flea market where artists perform and handmade products and crafts are sold. Located near Khao Takiap, this popular place is a fun mix of food, shopping and entertainment. – The first and only vineyard in Hua Hin, Hua Hin Hills Vineyard grows a variety of grapes such as Shiraz, Chenin Blanc and Black Muscat and visitors can tour the vineyard, enjoy wine tasting and by partake in a food pairing experience. – The Venezia is the newest theme shopping and attraction village in Hua Hin, and is modelled on Venice with the replica of San Marco’s bell tower easily spotted on approach. 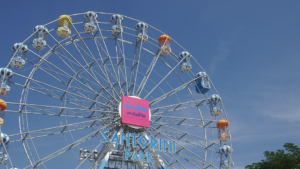 With 316 shops, the park includes a 200m Grand Canal on which you can ride a gondola, colourful Mediterranean houses and terraces, gardens, a market and mini zoo, as well as much more. – Should festivals and events draw your interest, the district hosts the Hua Hin Regatta, Hua Hin Jazz Festival, King’s Cup Elephant Polo Tournament and Hua Hin Vintage Car Parade. The Jazz Festival in June of the most popular. Other activities such as golf, kite-surfing and kite-boarding, water sports, hiking and horse riding are all on offer. 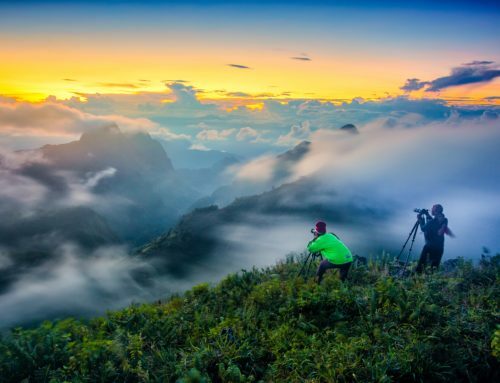 Read about the three most popular National Parks in the area.